The story of The Action and its players is an ever evolving wonder. There seems to be no point at which to say: "We've heard it all and know it all now". Every once in a while there is a fresh surprise as another part of the tale is revealed. The latest twist is this full unveiling of a collection of Reggie King demos which the great singer recorded, with former colleagues from The Action just as they were on the brink of becoming Mighty Baby. For many Looking For A Dream will seem a gloriously apt title for this record as it provides an opportunity to hear Reggie sing in a setting hitherto often fantasised about There is, of course, an unbearable poignancy to this collection appearing now. In 2010 we lost Reggie and we lost Mike Evans, the steadfast, secret hero and heartbeat of The Action/Mighty Baby story. Their passing was desperately sad, but their deaths made many of us more resolute in affirming the parts Reggie and Mike played in creating some of the most beautiful and inspiring music ever. When The Action's recording of "Since I Lost My Baby" was played at Reggie's funeral, it was the first time the presiding minister had heard him sing, but he was nevertheless visibly moved. The clergyman was also canny enough to improvise and pay tribute to the way such a remarkable singer will have touched many people's lives. It's still a shock to realise there are people who have not had the pleasure of hearing Reggie sing. And it's always dangerous to succumb to the temptation of playing "could've, should've, would've". But who knows what might have been different if these remarkable demos were widely heard 40 years before now? 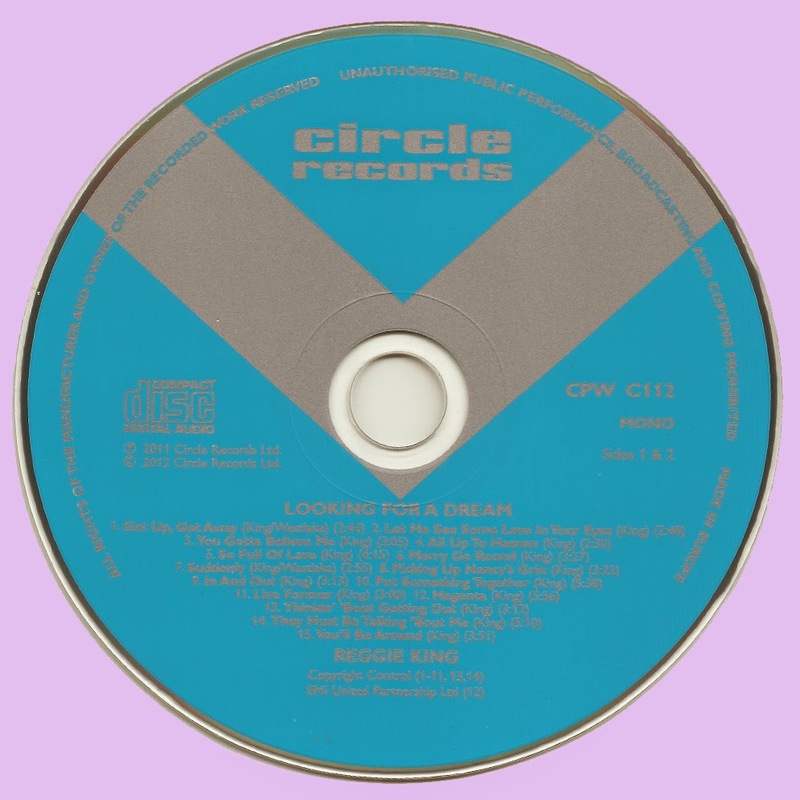 Those of us whose introduction to The Action's music came via the infamous Edsel compilation now have a far better understanding of the pivotal role its members later played, collectively as Mighty Baby or individually, in the making of many of the visionary records of the British folk rock heyday, by the likes of Shelagh McDonald, Shirley Collins. 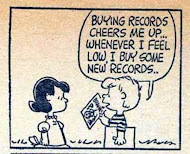 Sandy Denny, John Martyn, Gary Farr, Keith Christmas, Andy Roberts, Robin Scott, and so on. Mighty Baby's own LP A Jug of Love, is now revealed as something of extraordinary beauty and spiritual warmth, up there with the best of Gene Clark or The Band Discovering that particular record has been one of those great revelations contained within the unfolding story of The Action. There is a case to be made for the best British recordings of the folk rock era being made by those conning from a rhythm 'n' blues background: Mighty Baby, of course: Stevie Winwood and Traffic roamm' thro' the gloamin': the Faces be they small or otherwise drawing strength from Tim Hardin: even Fami . and the Kinks. It's quite fascinating how well it works, often in sharp contrast to those approaching from a solo traditional folk perspective. It's probably got something to do with all the jamming with acoustic guitars in the backs of vans driving to and from gigs, the sitting around in damp communal bedsits practising intricate harmonies, and the edge provided by being steeped in the blues and black music. The ensemble playing on these Reggie King demos is ridiculously good and feels warmly intuitive. It exudes a sense of trust and knowing who you're playing with. The harmonies are exguisite, but you'd expect that. The instrumentation is predominantly acoustic, but it doesn't come across in a gettingit- together in the country pastoral retreat kind of way. The prevailing picture is distinctly urban: with more of a neglected and chilly church hall vibe: a huddled around a Calor Gas stove with buses rumbling past mood, rather than an idyllic camp fire at twilight with accompanying birdsong kind of thing. The individual performances are wonderful. That remarkable rhythm section of Mike Evans and Roger Powell provides the perfect bedrock for melodic invention. As ever their playing is unobtrusive but they achieve that odd balance between solidity and fluidity which added a definite depth to many recording sessions. It's also easy to envisage Martin Stone hunched ove' an acoustic guitar, intently strumming himself into a trance, while Ian Whiteman with his seemingly care-worn piano, and his occasional jazzy flute and organ embellishments, pretty much steals the show. In contrast to these demos, the one official Reg King solo LP can seem cluttered. There are some incredible tracks on that 1971 set which wring the emotion out of the listener. But sometimes it seems Reggie is struggling, which just might be symbolic when you stop and think about it. A self-destructive or self-erasing urge, perhaps, as if to say: "You don't want to listen to me? Fine, I'll make sure I'm not heard." On these demos though, his singing is much more relaxed and the ease with which he sings is evident. The space on these demos perfectly suits him. Temporally and spiritually these demos lie perfectly in between the official Reg King LP and the earlier elegant, sundrenched Rolled Gold demos by The Action which have become so much a part of our lives. There is plenty here for aficionados of the gloriously baroque, brocade and paisley pop that later incarnation of The Action excelled at. There is also a lot for those of us who adore what Reggie did with Gary Farr on the Take Something With You LP. There are even moments to compare with the astonishing heartbreaking beauty of that record's "I Don't Know Why You Bother, Child". There are songs too that you could just imagine being given the full-on gospel revue/soul rave-up treatment by a Doris Troy or a Rosetta Hightower. It is the strength of the songs that is striking. 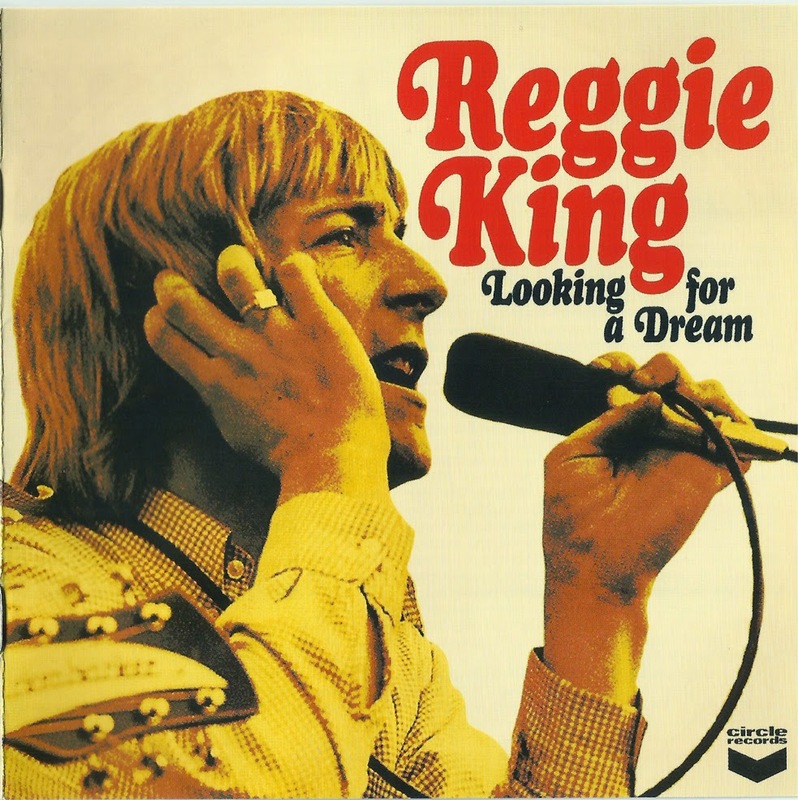 It's easy to dwell on the majesty of Reggie the singer, but he was a truly talented songwriter too. The songs here are mostly gloriously uplifting and infectious. They feel instantly familiar, but it is difficult to pin down close comparisons. The songs are deceptively simple. There's an art in making things seem simple. And in contrast to the more mystical, abstract, cosmic concerns of the time this set of songs seems strangely down-to-earth. None of these songs resurfaced in later years. No other act seized an opportunity to cover such patently superior material. There is something spectacularly arrogant about the way such a great set of compositions seems to have been casually cast aside after having been so painstakingly put together. More care seems to have been put into these intricate demos than most groups of the time put into their huge hits. That bewildering and appealing mix of nonchalance and perfectionism seems to sum up Reggie and The Action. Everyone who gets to hear this collection will have their own highlights. But there will be a general consensus that devotees of Reggie's haunted balladry are well-served by songs like "In And Out" which has him drifting in and out of daydreams, trying to find a way to say more, trying to be heard. Even here where the mood is more wistful and melancholy, with Ian Whiteman's flute sounding particularly beautiful, the sound is still sinewy and there is a sense of barely concealed rage and a soulful solar plexus punch. The most hard-hitting track, however, is "They Must Be Talking 'Bout Me" about which it's impossible not to use the word harrowing. Reggie baldly introduces the track as being about a mental hospital. There are no histrionics. There is no sentiment or sermonising. And it is this matter-of-fact portrayal of paranoia and the way mental illness was treated that makes the song more chilling. The stark, pounded piano accompaniment fits perfectly. Even when resisting the temptation to read too much into the theme, the song is a sharp slap of cold reality at the end of the '60s dream. That dream... it may be long gone, but the part The Action and its players performed in providing its unique soundtrack continues to inspire and to illuminate the present. And all those involved in creating this collection will live forever through the extraordinary music which so many of us will love forever. This is greatly appreciated Marios----Reg was King! great album. one of the great white soul voices of the sixties. I was alerted to the action by the edsel compilation in the 1980's. Some years later (2005) I had the great pleasure of working with Mike Evans as he played bass for a band I was (still am) managing, 'Speakeasy'. A great guy who had seen and done most things! He is greatly missed. I love this as much as I love Rolled Gold !! Well, almost as much ! Thanks for posting this !